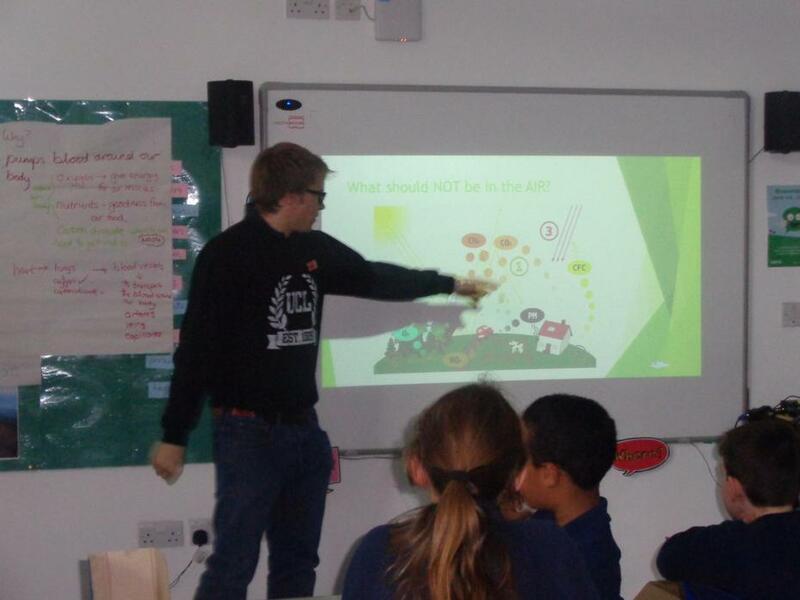 Year 6 have been working with chemistry students from University College London to help them investigate air pollution. The students are investigating levels of Nitrogen Oxide in the air - the legal limit is 40 micrograms of nitrogen dioxide (NO2) per cubic metre of air (µg/m3). 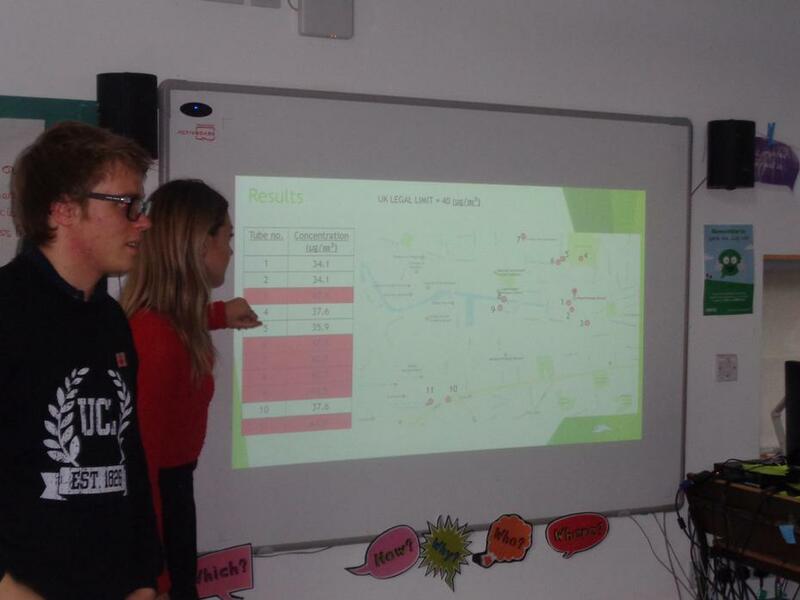 Vittoria pupils helped the students decide where to monitor levels near school. This week, two students from UCL returned to tell us what they had found out after analysing their results in the Lab. NO2 levels at the traffic lights on the junction of Copenhagen Street and Barnsbury Road was 47.8 µg/m3; it was the same at the zebra crossing on Copenhagen Street by Hemingford Way. The most frightening was Kings Cross which was 64.9 µg/m3! School, itself, was just below at 34.1 µg/m3.